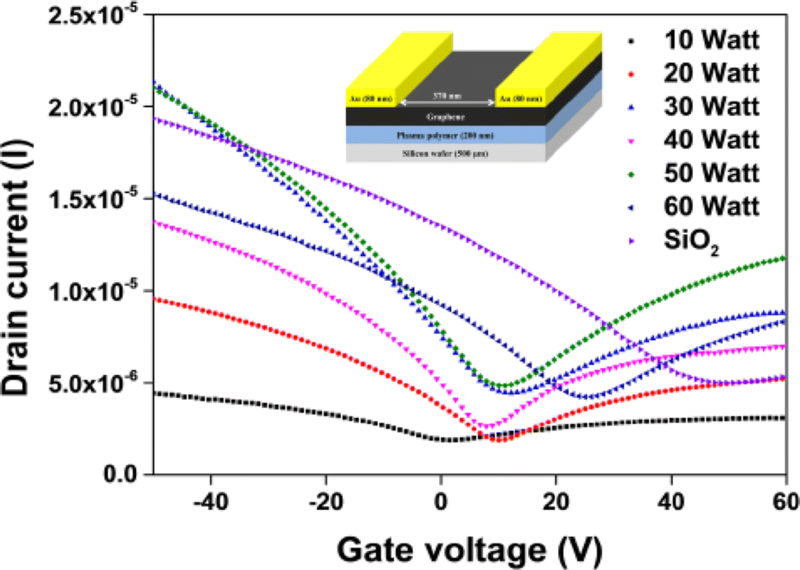 In this study, a gate dielectric suitable for application in field effect transistors (FETs) was synthesized. Gate dielectrics were deposited using cyclohexane via plasma-enhanced chemical vapor deposition. These films were synthesized on silicon wafers substrates with plasma powers adjusted from 10 to 60 W. Graphene was synthesized on a nickel substrate by a thermal chemical vapor deposition process and coupled to the plasma-polymer via water transfer. 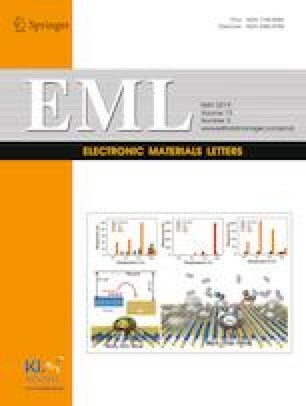 Alpha step, Fourier-transform infrared spectroscopy, Raman spectroscopy, and atomic force microscopy findings in addition to water contact angle measurements were analyzed to characterize the physical and chemical properties of the plasma-polymer thin film. Furthermore, a probe station was used to characterize the FET devices fabricated using such films. This work was supported by a grant from the National Research Foundation of Korea (NRF) funded by the Korean government (NRF-2017R1D1A1B07051012, NRF-2017R1D1A1B03029848).